Perfect place if you are bored with mass tourism and seeking an enlightening holiday experience which you will remember forever. 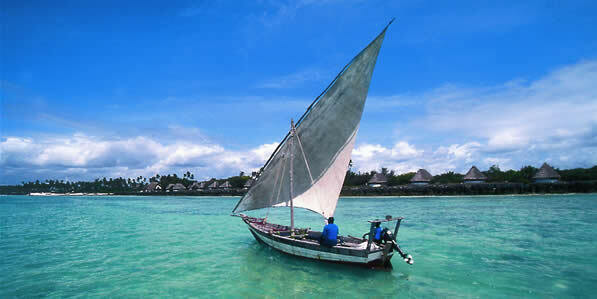 Zanzibar islands lies 25-50 km (15-30 mi) off the coast of Tanzania in the Indian Ocean. 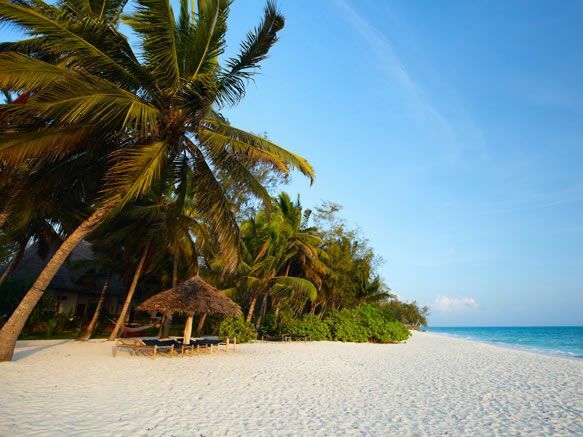 Zanzibar Archipelago consists of numerous small islands and two large ones: Unguja (the main island, informally referred to as "Zanzibar"), and Pemba. Over time Zanzibar Island has seen the change from the trade center to a romantic island where people come to seek the quietness of the blue-waters, relax on the sandy beaches, go diving or snorkeling. 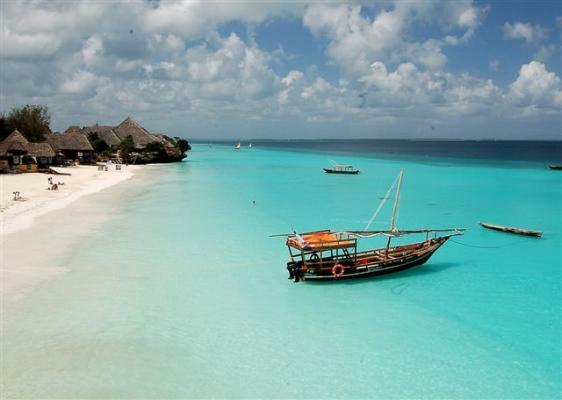 Zanzibar’s coastline offers some of the best beaches in the world. The majority of them are along the East Coast, where shallow tirquiz water allow you to see a wealth of life just beneath the surface - starfish, small minnows, anemones. This is where you can truly relax as the beaches are uncrowded, no major resorts, only beautifull untouched fishing villages. Up north, ocean swimming is much less susceptible to the tides, and smooth beaches and white sand make for dazzling days in the sun. The beach is just magnificent, crystal blue water. Under the water a coral reef provides the backdrop for great snorkelling and world-class scuba diving. Above it, windsurfing, kayaking and state-of-the-art big game fishing are favourite holiday pastimes. 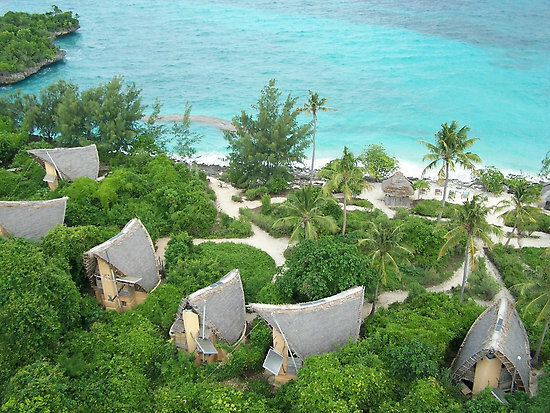 Nearby is the Mnemba Island and an untouched atoll off the coast of Zanzibar, a prime dive site known world wide. Selected by Condé Nast Traveler as one of the three most romantic ocean destinations in the world, Mnemba surpasses all expectations. Zanzibar has some amazing history. It was originally believed that Zanzibar first settled by Africans, 3000 to 4000 years ago. Many centuries later, inhabitants from Greece, Egypt, Persia, China, India, Arabia, Europe began to settle, each leaving behind a legacy of their stay. An incredible mixture of ethnic backgrounds.Through all the intermarriages, the language of Kiswahilli was born. This forms the base of the present day language Swahili, which is the language spoken in Zanzibar and extensively in East Africa.The population of Zanzibar is about 800,000, 95% Muslim and 5% Christians and they all live in harmony. The people are very friendly and helpful. The island has a rich history as it used to be the epicenter of the spice and slave trade in Africa. So there are many interesting places to visit in Zanzibar. Stone Town, the National Museum, Livingstone House, House of Wonders, Peoples Palace, Old Fort, Hamamni Baths, Cathedral Church of Christ, Tippu Tip House, Kizimkazi, Maruhubi and other ruins at Chuini, Dunga, Kidichi, Kizimbani and Bungi, Jozani forest reserve, Changu or Prison Island, spice plantations etc. Freddie Mercury (Queen) the famous rock star was born in Stone Town Zanzibar. His house is now made into a little restaurant, outside is a board with pictures of him and a brief about him, that was very cool to see. Full of variety and above all fragrant, Zanzibar is the Spice Island, a place with romantic allure that thrives on its centuries old association with aromatic cinnamon, white cloves and cardamoms. You can taste fresh peppercorns, vanilla, nutmeg, cinnamon, coconut- it still grow wild there.Exotic forests are scented with the delicate fragrance of ylang-ylang, hibiscus and jasmine and the heady aroma of cloves and cardamoms. There are no large wild animals in Zanzibar, and forest areas such as Jozani are inhabited by rare Red Colobus monkeys, bush-pigs, small antelopes, wide variety of birdlife and a large number of butterflies in rural areas. Civets (and rumour has it, the elusive Zanzibar leopord!) and various species of mongoose can also be found on the island. On the south coast of Zanzibar lies the Menai Bay Conservation Area, a sea turtle protection area for the endangered species that come to breed on the island. Stunning coral gardens are home to more than 350 fish species recorded. The diverse aquatic life off Zanzibar's coast includes frequent sightings of turtles and dolphins, as well as occasional sightings of humpback whales and whale sharks! Stonetown is the main city on the island of Zanzibar, and was the true heart of the spice and slave trade. Today is a World Heritage Site. Reputedly the only ancient town in East Africa still flourishing, Stone Town has changed little since the 19th century. It's a delightful place of narrow alleys, crumbly mosques and grand Arab houses with giant brass-studded wooden doors.There are more than 500 ornately-carved doors. In this colourful, highly scented labyrinth, veiled women bargain noisily in crowded craft and food shops. Many of the buildings in the this town are built with local coral. 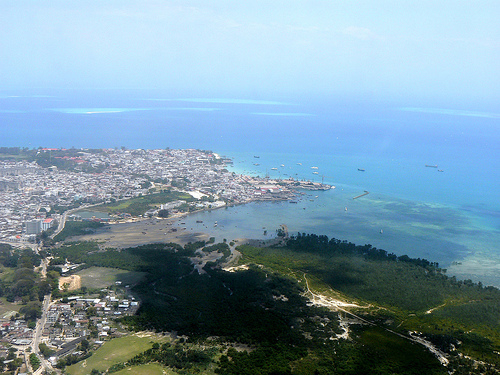 Stone town is an excellent place to purchase arts, crafts, and antiques. Zanzibar experiences ideal holiday weather for most of the year, with the exception of April and May which are seasonally subject to the long rains. Short rains can occur in November, but, do not last long. The heat of summer is seasonally often cooled by windy conditions, resulting in pleasant sea breezes, particularly on the North and east coasts. Being near to the equator, the islands are warm all year round, but officially, summer and winter peak in December and June respectively. 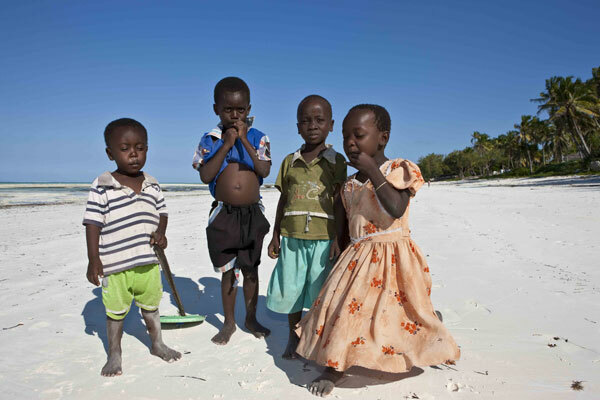 Zanzibar is blessed with and average of 7-8 hours of sunshine daily. Some recommendations: Stay at the Zanzibar Serena or Tembo Hotels in Stone Town, Amani Kempinski Hotel, Blue Bay Resort or Karafu in the East Coast.